The event will be held on May 18 at the Veterans of Foreign Wars Post 7677 in Medford. 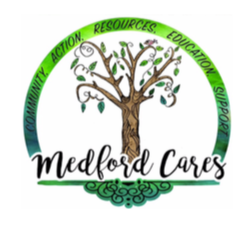 Medford Cares is a local charity founded in 2016 by president Donna Woloshin and vice president Michael Woloshin with a mission to make a purposeful impact on the lives of children and families in need in Medford and Medford Lakes. Working together with schools, places of worship, the police department and other local organizations, they are able to provide much-needed help for those families. A main goal of Medford Cares is to distribute grocery gift cards to families in need over the summer to help alleviate the cost of meals for families that receive assistance through school meal programs during the academic year. With the help of sponsors ShopRite and Republic Bank Medford branch, more than $4,000 has been given to families in need each year. Medford schools help identify which families would benefit most from receiving a grocery gift card. There are about 50 families throughout kindergarten and eighth-grade that receive these gift cards each year. Although these families are kept anonymous to Medford Cares, the organization adds a personal touch by attaching a note to each gift card. Another goal of Medford Cares is to raise enough money to provide a scholarship to high school graduates to assist in the cost of a laptop or other technology needs for college. There are six board members for Medford Cares, and one “friend of the board” who does not hold a full board position, but is still very active in the organization. These members include the previously mentioned president and vice president, treasurer Suzy Egan, secretary Reilly Igo, development director Darlene Blesi, and friend of the board Avril Dickerson. Medford Cares hosts several fundraisers throughout the course of the year. Each fall Medford Cares holds a shred event where people have the opportunity to make donations and have their documents shredded. Along with this fundraiser, there have been two “dine and donate” events hosted at PJ Whelihan’s Pub and Restaurant and Zinc Cafe in Medford where a percentage of the check is donated to Medford Cares. There are also “wine and cheer” events with raffle baskets and shopping events at the Queen Bee Boutique. Medford Cares has an upcoming fundraising event called designer bag bingo on Friday, May 18. Doors open at 5:30 p.m. and bingo begins at 6:30 p.m. at the Veterans of Foreign Wars Post 7677, located at 317 Church Road in Medford. Food and soft drinks will be provided at the event, additional bingo card and supplies are available for purchase, as well as raffle baskets and 50/50 raffles. Admission is $40 per person and benefits Medford Cares. Tickets must be purchased prior to the event at www.medfordcares.org.